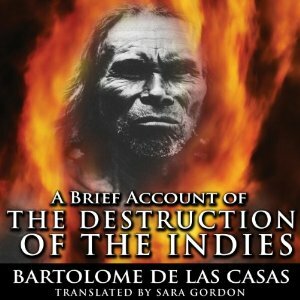 A Short Account of the Destruction of the Indies published in 1552 by the Spanish Dominican priest Bartolome de las Casas, lays bare the Spanish cruelties in America. Though generally condemned as slander in Spain, A Short Account of the Destruction of the Indies rapidly became popular in the rest of Europe, where it served to fuel anti-Spanish hate. Spain's enemies used it to depict Spaniards as evil tyrants and to rationalize carving out their own empires in the Americas. New editions of A Short Account of the Destruction of the Indies appeared repeatedly, even as late as 1898, during the Spanish-American War. While much of what Bartolome de las Casas said is undoubtedly true, not all historians take A Short Account of the Destruction of the Indies as the gospel truth. Though sometimes exaggerated, Las Casas' account sheds valuable light on the ""Spanish Black Legend."" Bartolome de las Casas, who was struck by the inhumane ways in which the native peoples were treated by the European explorers and conquerors, went on to be a leading opponent of slavery, torture, and genocide of the Native Americans by the Spanish colonists. A Short Account of the Destruction of the Indies includes chapters covering Spanish treatment of Native Americans in Cuba, Nicaragua, Hispaniola, Guatemala, Venezuela, Florida, and many other areas conquered by the Spaniards. Though short (as the name implies), A Short Account of the Destruction of the Indies reveals a dark but important episode in the history of Spain and America.